We spoke with Jeremy Haas who works for Select Physical Therapy and is the head athletic trainer here at Xtreme Couture MMA – Las Vegas. Jeremy has been an athletic trainer since 2002 and has been an integral part of the Xtreme Couture team for close to 3 years. Select PT is the largest Physical Therapy company in the country and in the Las Vegas area alone they supply 33 athletic trainers to the high schools during practices and at their games. 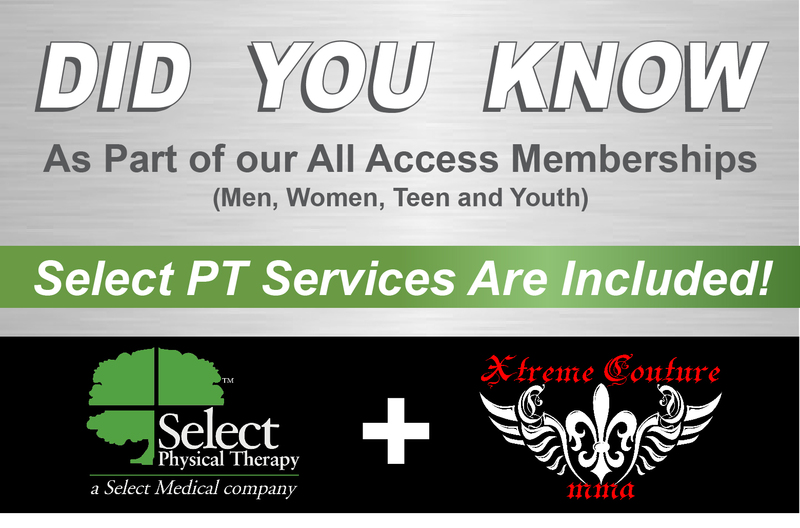 Select PT first started helping the XC pro team back when Randy Couture stepped out of retirement to face Tim Sylvia at UFC 68 in 2007. Ever since they have increasingly become an essential part of our team. The services they provide are primarily for any injuries that may happen during pro practice and during Xtreme Couture’s busy evening classes. Jeremy says ” but they also do rehab, emergency medicine or any advice on strength and conditioning and/or nutrition like XCAP Sport Supplements“. Select PT is here Monday through Friday for 4 hours during the day around pro-practice.